I will leave this at the top of my Blog in November as a reminder. First of all, in recognition of the Canadian $$, Stampin' Up! has decided to offer FREE SHIPPING to Canadians for any order over $100! Designer Papers on Sale! Buy 3 get 1 FREE in November!!! Check them out beginning on page 170 of your Fall/Winter Catalogue. The Holiday Glitz Card Kit is still available so put your order in now while it is still in stock! Please contact me if you are interesting in any of these promotions! I am not very good with buttercream frosting (I much prefer to work with fondant) so that is why there was much drama around this one! DH seemed to enjoy his relaxing day at home...our living room is almost ready to be painted he was just doing some finishing touches on the trim yesterday. It's got to be 2 pages! I have 2 frames in my Workshop that my DH painted and hung for me to display some of my work. One of those frames is still empty (they've been there for more than a month now) so he was very excited to see me Scrappin' (as he affectionately calls it) and immeadiately asked if they would be posted! So sweet! I need to get the pictures printed for real and finish the second page before they go up but I am very thrilled with these layouts! ***Edited***I just had to make a few changes to the page...I am loving it!!! 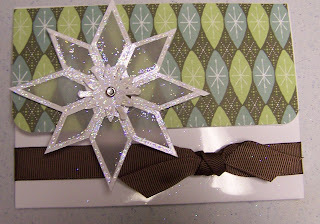 Well, I can't take credit for the design but I have yet to see an actual tutorial for this one so I put one together to share how we made the snowflakes on our gift cards last night...I just love it!!! 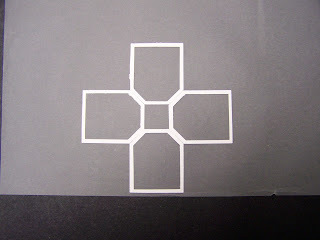 Glue 4 frames on vellum creating a cross with glue pen. Layer second set of frames on the first set using glue pen. You may find it easier to create a template with 4 dark frames on light paper to ensure you get the second layer centred correctly. 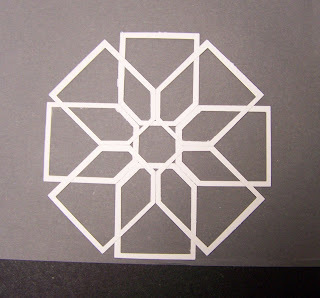 Cut the bottoms off of the frames to create your snowflake. 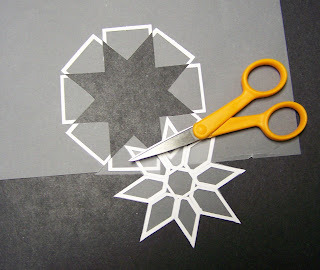 Finish cutting out the Snowflake. 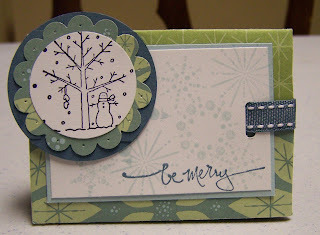 Well, I had my first Creative Adults Card Class tonight...I am hoping to offer a monthly techniques class in the new year for the same group of ladies...they made my day today! I hope I made theirs with these cards!!! 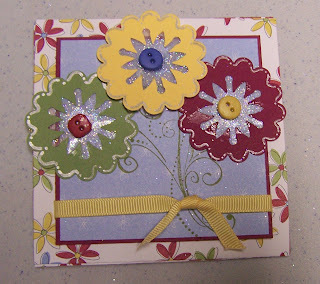 The first card we did had some *BLING* to it! It had vellum, sparkles and a rhinestone brad! Such fun! 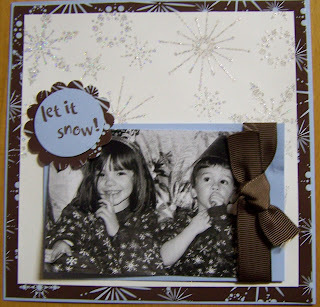 The large snowflake was created using the small and large Tag Punches...I will try to put together a tutorial this weekend. I do love this card! 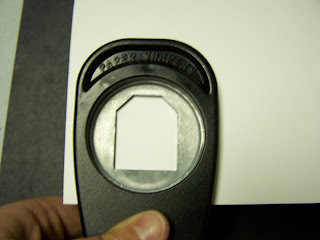 The bottom flap is secured so that a gift card or certificate can be placed inside the card. I think this one is SUPER sweet! Thank you JanTink for the great Blossom inspiration! Of course I added my own special flair but I do love her work! Thank you for your inspiration Jan!!! 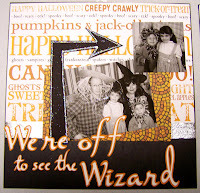 This is the sedate card of the bunch...the ladies loved it as much as the others though! Cambria Turnbow has a great tutorial on how to make this giftcard holder...it's not for the folding impaired but is so fun! It looks really great when the opposite sides of the designer paper contrast! 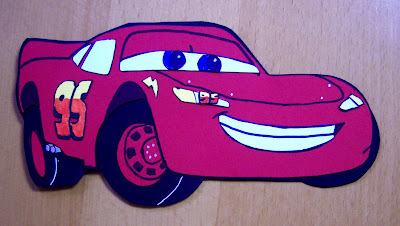 Both my nephew and my son LOVE Cars and Lightening McQueen is of course the all time favourite car so I grabbed a colouring book, copied the best picture I could find (in this case it was coloured purple!) and copied it and enlarged it to create a template. Accessories: Unigel Signo Pen, Ziggy Paint Pen, Red, Black and Blue Markers, My Xyon saved the day for sure! I must say this is one of my favourite photos from our family vacation back in June! We went to Sesame Place in PA and the kids loved it!!! 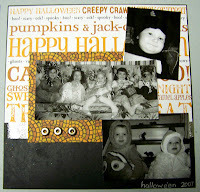 So, to create this page (it's one of my favourites!) I used the t-shirt folding technique but decreased the paper size to 2.5x4 to make it fit on my 6x6 page. I love the belt too! 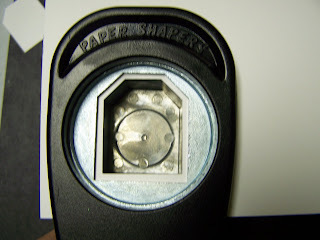 I was so impressed with how perfectly the hodge podge hardware worked and the perfect size! I love the bashful and chocolate together! 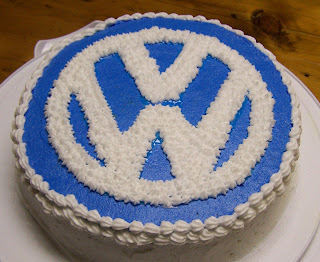 I think it's scrumptious! Oohh! 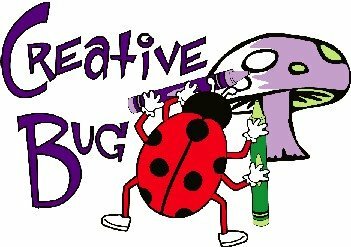 First I should tell you that I have added a link to an Events Calendar, you will see it in the sidebar so if you are looking for classes to attend or inspiration at a Crop/Open Stamp Night Check it out! 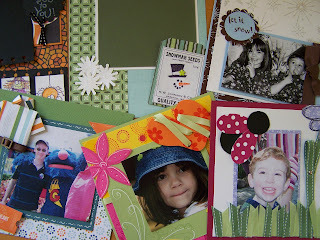 I have started booking into the New Year for all of those that are keen to get Creative in 2008! Now, I shared a number of pages with you earlier but they were jammed together and it was hard to take it all in so I will share some of the pages with you individually now! 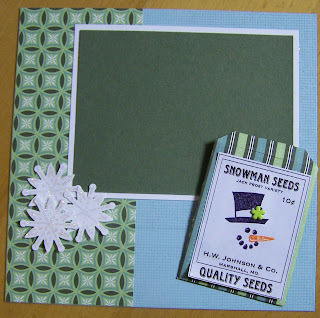 I got the template for the Snowman Seeds on Katydidcreations she has some great templates! 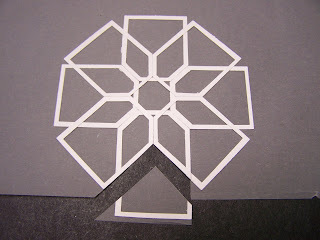 Then, I couldn't figure out what to do with the Wintergreen paper...I know it's so nice but I was absolutely stumped! 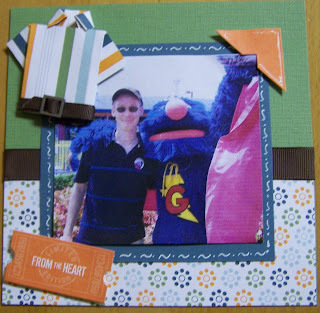 So, I did a search and came up with Valerie's Card and it inspired the layout (my mother always taught me to give credit where it is due!) Thank you Katy and Valerie for your inspiration! 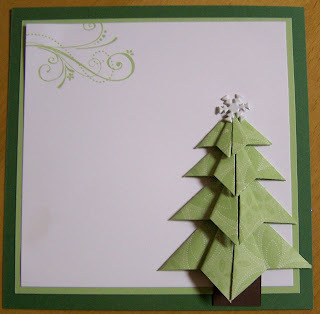 You can find the tutorial to create this amazing tree on Stamp Your Heart Out and remember, our Designer Papers are on sale in November so if you see anything you like, let me know! As you can see, I have been busy...some of these are already featured on my blog while others are new...I will try to add them over time...if there is anything in particular you might like to hear more about just let me know and I will do my best to get a photo and supply list up!